Welcome to the most popular attraction in town, Churchill Downs. This true American Icon is located on Central Avenue in Louisville, which is appropriate as it is very much the central attraction in the area. 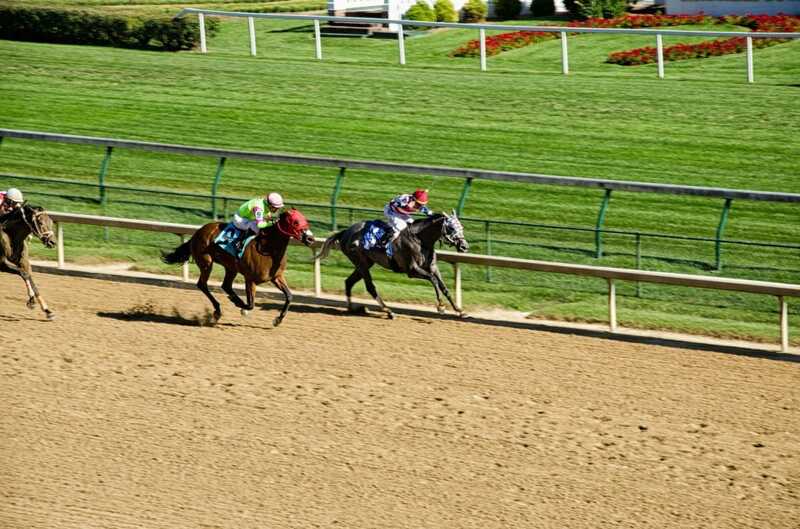 The very first racecourse construction in American history was close by Louisville in Lexington, in 1789. Nearly 100 years later, in 1875, Churchill Downs was built and opened. Over 3 centuries of racing has caused countless revamps to the facility to modernize it well enough to fit the now over 165k guests in attendance to the derby every year. Since it has been built the racetrack has still kept it's most recognizable feature intact, 1895 built Twin Spires, a Joseph Dominic Baldez creation. One really big thing it has added recently that is also highly recognizable now, however, is the 4k video screen, the world's largest video screen of it's kind, referred to as 'Big Board'. To tour the track during your visit (not on a big race day, of which there are 3 major ones each year in the spring, September, and fall seasons respectively) you must visit the Kentucky Derby Museum. You will have several themed options to explore the 147 sprawling acres of legendary thoroughbred racing history while here, learning all you can along the way! There is no way you can leave Louisville without visiting one of their most famous attractions, the Kentucky Derby Museum. The museum is located next to historic Churchill Downs Racetrack and has been an integral part of this community since 1985. The Museum celebrates the tradition, history, hospitality, and pride of the world-renowned Kentucky Derby and allows guests to enter an immersive world of Thoroughbred racing themselves. Inside the Museum you will find such exhibits as Winning Colors: Famous Fillies, It's My Derby, D. Wayne Lukas Collection, American Pharoah, African Americans in Thoroughbred Racing, International Horseshoeing Hall of Fame, and many, many more. A general admission ticket will give your group the chance to explore all those exhibits, be a part of an hourly 30 minute walking history tour of the racetrack, and experience an 18-minute long immersive media program called The Greatest Race. You will also have access to the Derby Cafe, a delicious spot serving up Kentucky classics that comes with group dining options, and the onsite gift shop. There are special tours available upon request as well such as the Horses and Haunts (7 pm) and Race Day Walking Tour.